ATAN boots, for that 'barefoot' feeling !!! 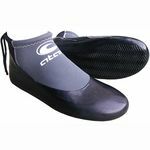 Boot for Windsurfing, Kitesurfing, Surfing and all kinds of Watersports. If you buy a pair, here are a few tips. Rub the soles lightly over the pavement before your first sail, as the protective storage coating can make them slippery. 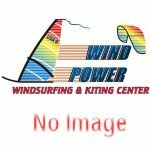 When you finish sailing, rinse them out and turn them inside out to dry and then turn them the right way when dry..and DO NOT leave them in the sun as the Latex will turn to goo. 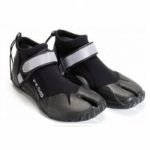 Aim for a tight fit like climbing shoes for that awesome barefoot feel. Team Wind Power's summer booties of choice. Very duable plus they do not allow silt and zebra mussel shells from entering the top. Turning them inside out to dry periodically totally eliminates odors.